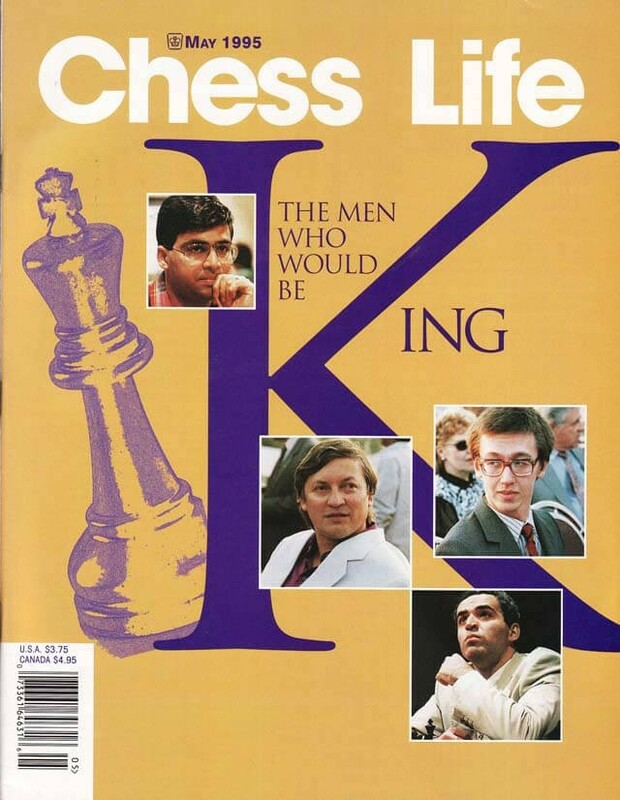 The May 1995 Issue of Chess Life Magazine has a cover entitled The Men Who would Be King. The pictures of Anand, Karpov, Kamsky, and Kasparov are shown around this title. Inside there are articles on the tournament at Cannes, the 1995 Bermuda Open, and the Land of the Sky.